I am a person who is in total control – in only my dreams. In reality, I am an autistic 18-year-old who always seems to be not connected. To everyone else, I have only a limited experience of life because I have only been able to communicate in typing for a few years. Now I’m here to let the world know that I have been waiting for years to not be overwhelmed by autism so I could get my real thoughts out. For most of my life I existed as a non-verbal student in an autistic class. The interventions were the standard ones that left me trapped. In 7th grade, I had the life-changing experience of meeting someone who believed that I am a real person with a mind intact and worth getting to know. Through that supportive relationship, I learned to calm my internal sensory challenges so that I could type out, letter by letter, my thoughts. Fast forward five years, and now I am in all general education classes in 12th grade. In high school, I have been able to get the education and experience I have always wanted. To everyone with or without autism, I hope you can find some hope and meaning from the experiences I have had, and how they have given me my desire to change how we are treated. Dillan, once again you have made your Great Aunt Carol tear-up with happiness and pride. Dillan you are a gift! Your blog is so great for everyone who blogs with you because we will know you better and you will know us better. Because of you I am blogging. Is “blogging” a verb? This will be only the first of many blogs. I came across your video on Facebook and I just wanted to say that your story is amazing and it’s individuals like you that give us hope for my nephew. He’s 10 years old and has Autism and he like you is unable to communicate verbally. He says a few words here and there but that’s about it. I just want to say Thank you for sharing your story because it is truly inspiring. Thank you for writing to Dillan. We are so glad that you feel his story is helpful to you and your family. That is why he has asked for this blog. Wishing you all the best. We hope you keep visiting! I just saw an article about you on Buzzfeed and I can’t stop smiling. My brother is autistic and while he is verbal, he loves his iPad and is on it all the time. I think having another way to connect with people (via the internet, or in your case, being able to speak through technology) is a life saver for so many of us. Not even just those with Autism. Dillan, I think you’re awesome and are going to blow us all away with your accomplishments. I’d love to meet you some day! I am from Germany and also be in the 10th grade. I am such amazed of the way you’re living with autism and truly proud of you and your family who supports you! I could not be more excited and proud of people like you who really wants others to deal in a responsible and more important respectful way with each other. You are the reason that I am so happy with everything God has given me. I know that I can not really help you as much as I want. You are very welcome to visit me anytime. My little brother is almost 9 and he is also nonverbal with autism. I have always felt (along with the rest of my family) that he understands more than the doctors believe he does. I am going to share your blog with my mom in case there’s someone from one of his many therapists or doctors who can try to teach him how to type. Thanks for sharing your life with everyone! I pray this continues to open up the world for you! This is Tami, Dillan’s mom. Dillan always says that belief is everything! So please keep believing, because we have so much to learn about autism, and now that more and more individuals are typing to communicate, we can hear directly from them about their experiences and what they need. Thank you for writing…we hope you continue to visit! If you don’t mind, I’d like to recommend a couple of books that your family and open minded therapists may be interested in:) Our good friend, Ido (who types to communicate), has written a book called “Ido in Autismland” that I think you will find very helpful. Also, for looking at autism through a different lens and beginning to understand a different way to teach and begin communication, I would recommend reading “Understanding Autism through Rapid Prompting Method” by Soma Mukhopadhyay, or you can go to their website at http://www.halo-soma.org. Wishing you all the best! I am just in awe at this website and you Dylan! Like this has potentially changed my whole view of autism even though one of my best friends from elementary school is autistc. Dillan- our son Joshua is 11 and has just begun using an iPad to communicate. (He’s using Proloquo.) Your story gives us hope that some day we will get to know him too! Keep on, Dillan! Change the world! Dillan, you are changing the world. Thank you for being so brave as to share your experience, thoughts and feelings. A true artist!!! You are an absolute inspiration and I have no doubts that others will find their voices for the first time too because of this exposure. Have an amazing day!!!! 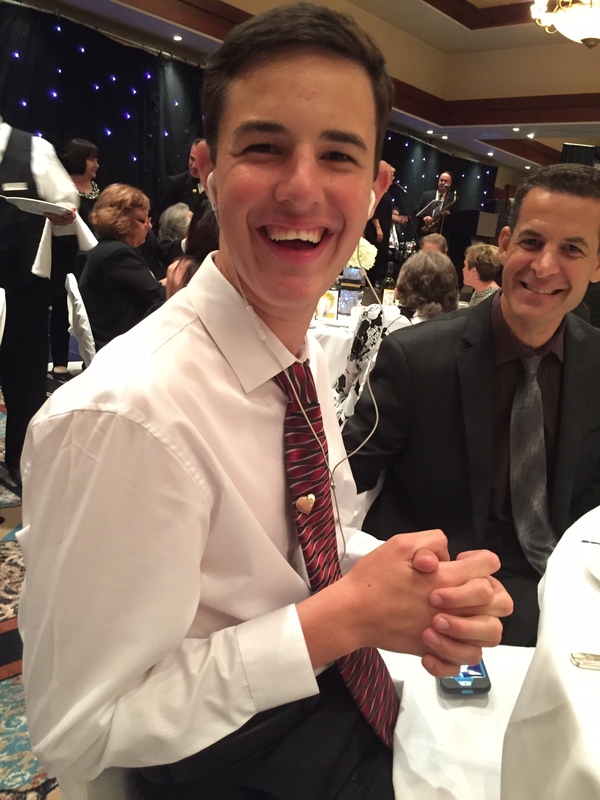 I have a 14 year old son that reminds me of you… Handsome, kind and stuck in his body not being able to speak. He types a few words but I was wondering if you wouldn’t mind sharing with us which app you are using? Exactly! my son learned to type on his ipad by beginning with the Rapid Prompting Method. Only through this method was he able, like Dillan, to access his actual thoughts/words. You are an inspiration Dillan! I teach college students a course called, Inclusive Care and Education in Early Childhood, and I will share your story with them when I teach the course again. I look for examples of individuals who have found paths to share their voice and their experiences despite the challenges they face. Temple Grandin’s story is another amazing story like yours! Thank you so much for sharing your journey publicly – seeing a person first is the message I want my students to have when they meet that little child who is ‘different’. Thank-you!!! This is Tami, Dillan’s mom. Thank you for using the words of those who really know about what its like to live with autism in order to open the minds of future educators. Dillan’s entire reason for wanting this blog is to make a difference for others who are struggling to find a voice, so this will make him very happy:) Yes, seeing the person first is so important, and Dillan would also add that what’s most important to him is to be believed in. Thanks for your comment. We hope you will continue to visit! I follow you on the news on youtube, and I find you SO VERY inspirational! I have two children with ASD, my son being non-verbal he will be 4 this year. Thank you for letting me into your world! Thank you for visiting and reaching out. You might also really like the book, “Ido in Autismland.” We wish you all the best! That was an incredible conference!! Dillan spent over an hour after his presentation “talking” to people who felt much like you did. We were blown away by the positive energy and desire to help. Amazing! Thanks so much for visiting Dillan’s blog, and for your words of encouragement. That is what keeps Dillan going. It means so much to him!! Hi. I have a 7 year old son with autism. He is also non verbal. He gets speech therapy at school but i dont think that hes getting the services that he needs. When i read your story it gave me more hope , and would do anything to help him communicate and tell us what it is that he wants.Do you maybe have any sugestions what to do and what approach to use maybe, honestly dont know what else to try. Any feedback would be greatly appreciated. Thank you. *Another important read is Understanding Autism Through Rapid Prompting Method by Soma Mukhopadhyay. I wish you and your son all the best. Hope this is in some way helpful to you both on this journey.